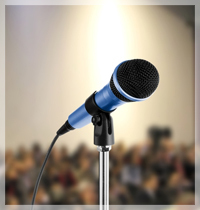 An experienced conference, seminar and event speaker, Ann has spoken alongside government ministers and fellow professionals all over the UK and in the United States and Canada. In her capacity as President of the Royal Town Planning Institute in 2010, she represented the institute’s 23,000 members promoting the value of planning, discussing the coalition government’s proposed reforms to the planning system and speaking on a wide variety of topics including climate change, planning law and housing. 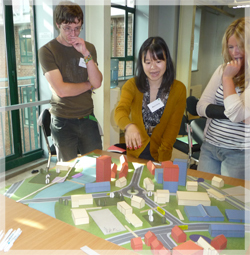 RTPI Young Planners Annual Conference on ‘A National Perspective of Local Distinctiveness? Forthcoming engagements include a workshop at the American Planning Association’s Convention in Boston on ‘Big City Planning the London Way’ alongside Armando Carbonell of the Lincoln Institute of Land Policy. An experienced facilitator and chair, Ann has chaired numerous conferences and meetings as well as the RTPI’s Board of Trustees and various committees. For a more light hearted look at the world of planning and a candid account of some of the experiences as President of the Royal Town Planning Institute – from missing trains to meeting government ministers, this is for organisations or groups with an interest in planning or meeting one of only four female presidents in the Institute’s history. As an experienced trustee and an effective and persuasive leader, Ann was the Royal Town Planning Institute’s ambassador in her role as President in 2010, promoting planning and representing the RTPI at various meetings and events in the UK and overseas. Ann played a lead role in championing relationships with other professional institutes and organisations, the development industry, academic institutions and trade bodies, as well as representing the RTPI at meetings with senior civil servants and Government ministers. Ideally placed to spot opportunities, think laterally and broker partnerships, Ann can bring people and organisations together achieving the impossible. Throughout her professional career, Ann has written committee reports, technical reports, appeal statements and articles for the trade press. She wrote case studies for the Planning Advisory Service on inclusive environments and parish councils and planning in addition to writing an outcomes report following research into collaborative working between local authorities and an online information pack for planning applicants. Currently Ann is working on updating chapters on planning law in Estate Management Law by Richard Card, John Murdoch and Sandi Murdoch to be published by OUP later this year. Ann is available to comment on current planning issues and has been interviewed on BBC local radio, done a number of podcasts for the RTPI and Planning magazine and has been interviewed on television for the RIBA NBS Learning Channel (video based learning) on localism. Do you need an extra pair of hands or a critical friend? Ann started off her career in local government working for Chelmsford Borough Council as a development control case officer and then in the policy team. In her policy role Ann undertook policy development and authored technical background papers for the local plan. She was responsible for project managing external consultants working on an urban capacity study and a sustainability appraisal. She also developed community engagement techniques and was responsible for the publicity on the local plan and devised participatory training days for parish and town councils and community groups. Ann can offer supportive and valuable insights to improving your service and performance through practical help, experience in best practice from throughout the UK and ensuring that you make the most of localism and are up to speed with the new planning agenda. Help and support to ensure that your community and neighbourhood are up to speed with the localism agenda and are aware of and taking, the opportunities localism and the big society agendas present. Offering down to earth and professional advice make sure your neighbourhood is the best in class. Ann can offer advice on neighbourhood planning and help with the community rights to build, buy and challenge. She can also facilitate meetings and community engagement and advise on the best ways to reach different groups within your community. Brokering partnerships and cutting through the red tape, Ann can make sure your community does not lose out and is the person to have on board to enthuse your community to taking part. Everything you need to decide whether to proceed with a proposed development from site finding and feasibility studies to the submission of a planning application or appeal, community engagement, negotiation. Taking a common sense approach to finding the best solution, other professionals and experts such as planning lawyers, landscape architects and designers, can be brought in from an extensive network of top professionals. 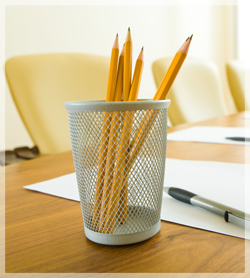 Bring your planning dilemma or problem to Ann Skippers Planning, we specialise in appeals and trouble shooting.